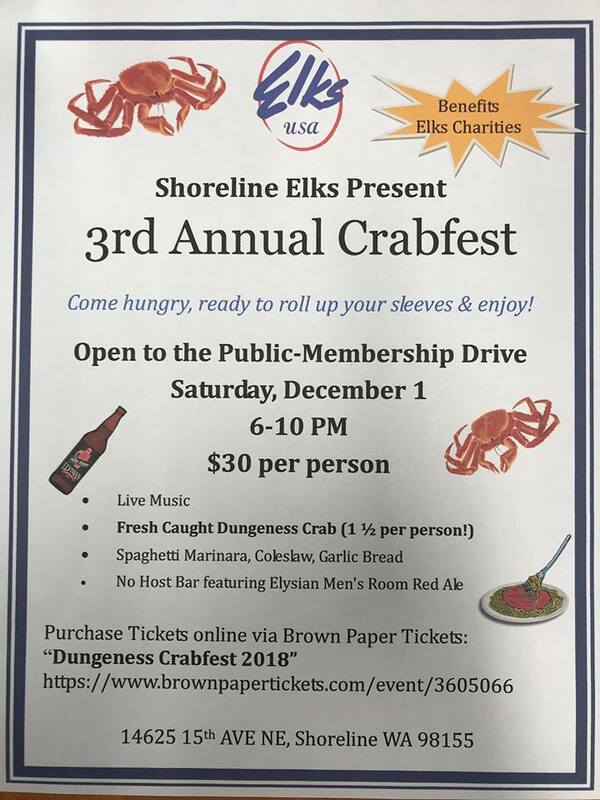 Shoreline Elks present their 3rd annual Crabfest - Saturday, December 1 from 6-10pm. Live music, Dungeness crab, no host bar featuring red ale. Live music! $30 tickets can be purchased online now. Proceeds go to Elks Charities. The Shoreline Elks are located at 14625 15th Ave NE, Shoreline 98155.